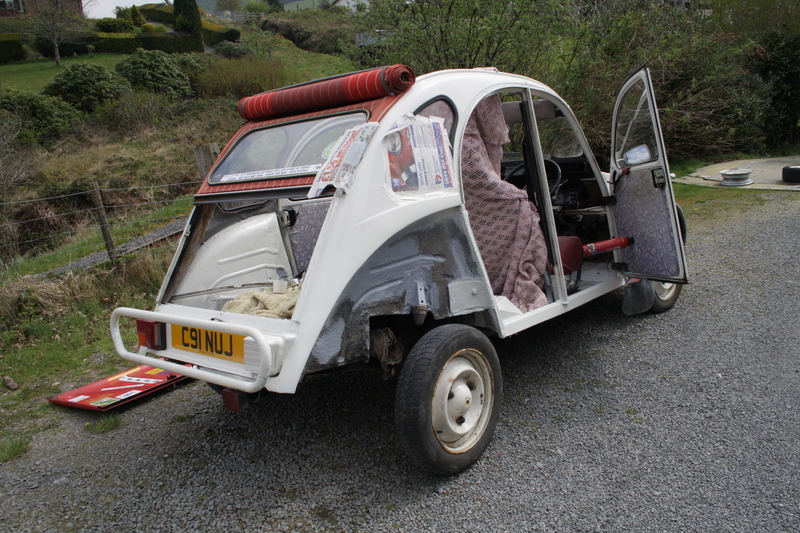 2CV – rot hunting – HubNut – celebrating the average! I didn’t mean to go rot hunting, but that’s what I ended up doing. You see, I’d decided that the sill and C post needed painting after the recent weldathon. That meant taking the rear wing off again. With that off, I thought I’d better hose off the muck and see what was what. Rot was rot as it happened. The pressure from the hose was sufficient to have the underseal flaking off, and rot was very much lurking behind it. I attacked it further with a wire brush and a flat-bladed screwdriver to reveal the above. Apart from one tiny hole, it was all still solid. It was clearly time for action. The first step was to grab my tub of Vactan. This rust converter is little-know but very effective. I gave the rusty areas a couple of coats with a period of waiting in between. It forms a black, protective layer once cured. It self-primes as well, but I decided to use zinc-rich primer in addition – a couple of coats of this were applied too. Next I could actually get on with painting the bits I’d originally wanted to paint! I didn’t bother painting the inner wing as I hadn’t removed all of the underseal. Where it was still in good condition, it was still protecting the metal well – a couple of scrapes with the screwdriver revealed as much. I then unleashed some Bilt Hamber products – Dynax S50 for the box sections and cavities, and Dynax UB for the inner wing, underside of the sills and the floors – front to back. The rear wing has been carefully refitted, but then plans got ruined by cloud and rain. I don’t want to refit the rear door until the paint has had a good chance to harden, so it’s frustrating that the sun has disappeared now! 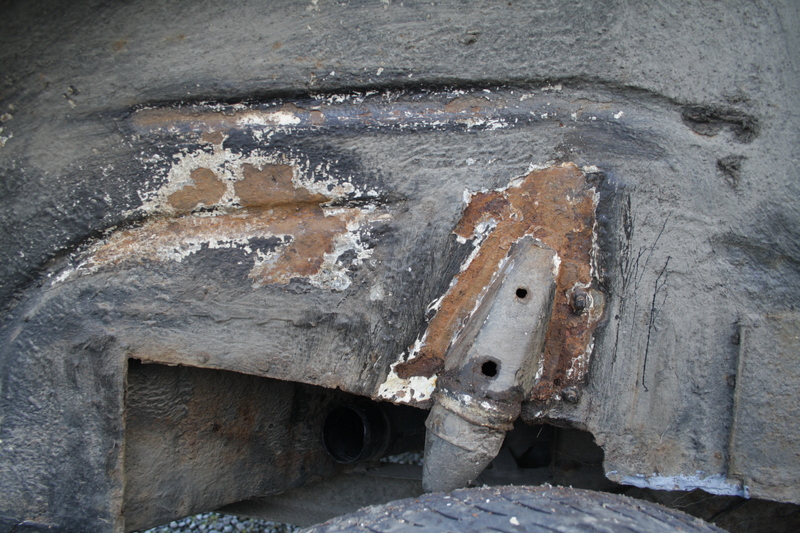 ts always a hard decision, when you see a small area of rust do you just leave it or investigate further, in the knowledge that prodding the rusty scab will open up a whole world of pain and welding. Sadly, I’ve spent too long ignoring minor issues, so this was a case of trying to tackle something BEFORE it becomes a major issue. The 2CV still needs a new windscreen panel.